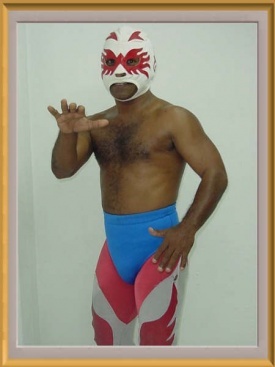 Maestro(s) Braulio Mendoza, Abundio Radilla, Lucio Risas, Lucio Risas, Tony Salazar, Skayde, Polvo de Estrellas, Gladiador Jr.
A mini version of Aspirante who works in the Acapulco area. Often works with CMLL mini's when they come to town and are short a man. This page was last edited on 3 March 2019, at 21:22.